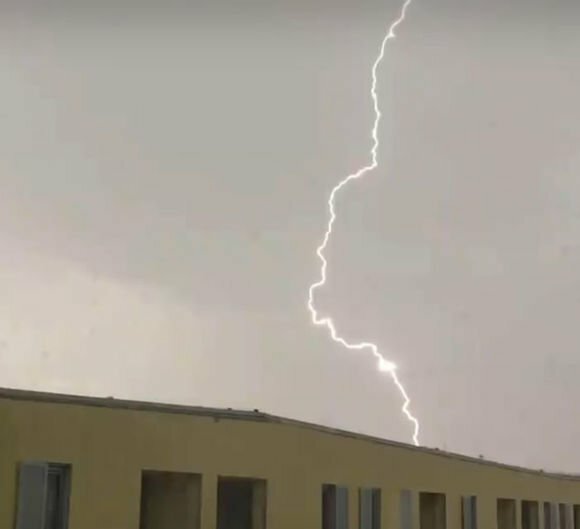 ETtoday: Aliens and UFO Exploration Organization Secure Team 10 announced that a long lightning bolt had been shot across the sky in the Czech Republic. Later, an unknown object suspected of being a triangular UFO was found in the second half of the lightning bolt. They said that the UFO might have absorbed energy from lightning. Secure Team 10 named the film "They Dwell in the Lightning" and uploaded it to YouTube, saying that aliens use advanced technology to convert the energy generated by lightning into the power of flying boats. At present, the film has attracted more than 600,000 netizens to watch it, and netizens have left messages to discuss it. Secure Team 10 magnifies the second half of the lightning, and it is obvious that the unidentified object tends to isosceles triangle with darker colors on both sides. Some netizens believe that this is indeed evidence of the presence of UFOs on Earth, but more netizens think it is a hoax to trick unsuspecting audiences into clicking on films, thereby increasing their reading. 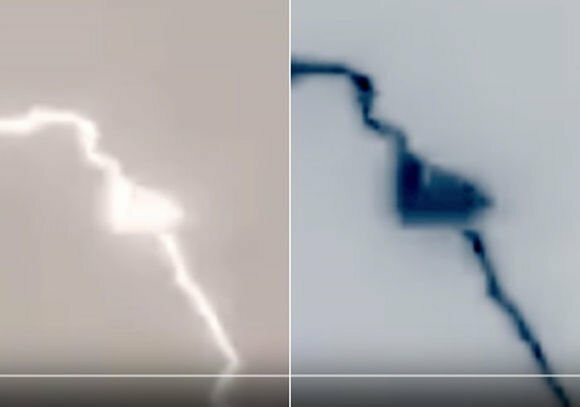 Another explanation for this UFO sighting is that the mysterious triangular spacecraft actually passed through lightning or was struck by lightning. Some netizens said, "Aliens don't exist at all. They are the products of Hollywood movies in the 1940s. Other netizens also mentioned that Marty McFly, the protagonist in the movie Back to the Future, also uses the energy of lightning to recharge his car.